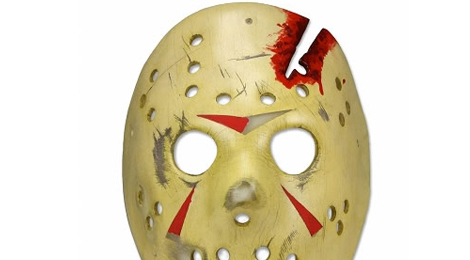 We vow to get a close-up view of the replica hockey masks represented in Friday the 13th Part 3 and Friday the 13th: The Final Chapter. Outside of the stock photos released around a month ago, there have been no real clear defining photos of the props, but now we get a little glimpse from the San Diego Comic Con. 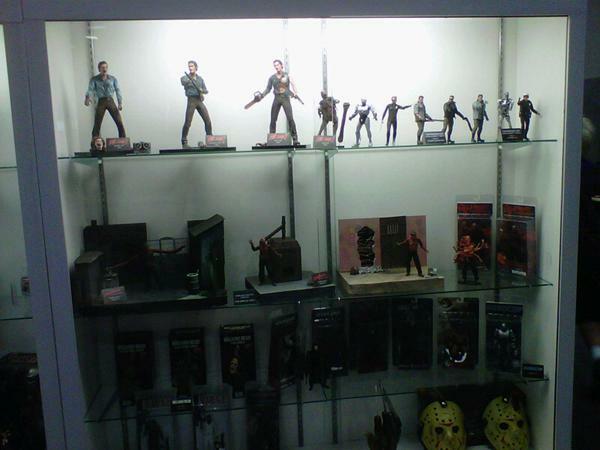 NECA tweeted a pic of their display case at the mega convention a few hours ago and their entire line of figures are in full view for fans to view. If you look at the bottom of the display case in the lower right of the pic, you will see the two hockey masks that fans are eagerly awaiting to purchase when released this September. 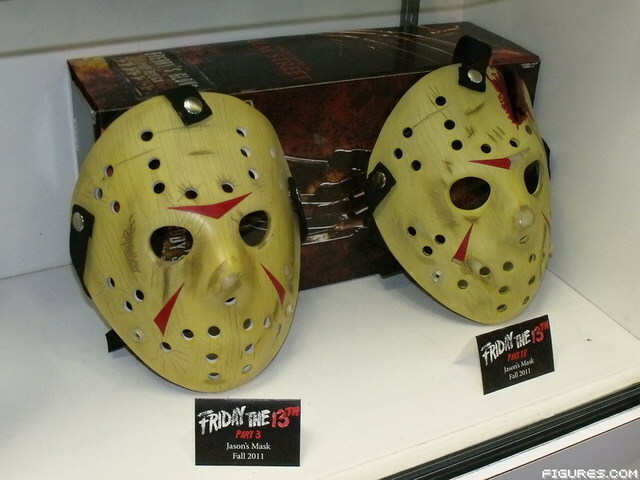 We will keep an eye out for more pics of these masks and any other related Friday the 13th items as the crazy SDCC continues on through the weekend!